The stage kicks off from Albertville, with the riders travelling only 13 kilometres before the first climb of the day, the category one climb of the Col des Saisies. The climb is brutal for so early in the stage, as the climb averages 6.4 per cent for 15 kilometres. This climb is the longest on the day’s stage. A technical descent of 14 kilometres ensues before the second category rise of the Col des Aravis is at the foot of the riders. The climb averages just under 7 percent for 6.6 kilometres. At the top of the second climb, the riders are just outside the halfway point on today’s stage. 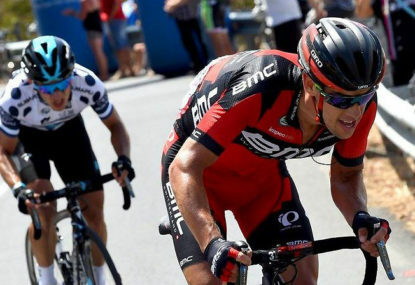 With the short nature of the stage today, I would not be surprised to see Team Sky and Movistar look to attack the first two climbs to isolate Richie Porte. From the top of the second climb, it is a 13 kilometres descent before the riders tackle the penultimate climb of the day, the category one climb of the Col de la Colombiere. It is similar in length to the final climb of the day, however, it only averages 6.1 percent. The final climb is far more difficult in that respect. The penultimate climb tops out with just under 35 kilometres to go, which may be too far for general classification riders to attack away on their own, but if they have teammates up the road, attacking may work out to be beneficial. Also, there is a flat section of around 10 kilometres before the start of the final climb, which may also make attacking away on your lonesome all the more off-putting. The climb of the Plateau de Solasion is the final test for the riders in this year’s race, and is sure to be instrumental in the final results. The 11.3 kilometre climb averages over 9 per cent, with the steepest part of the climb being the first four kilometres. I expect fireworks on this climb, with riders wanting to fine tune their fitness before the Tour de France in three weeks time. Richie Porte holds over a minute lead over Froome, however, his main challenger in my opinion is Astana’s Jakub Fuglsang, who has gone toe to toe with the Australian on every mountain pass in the race to date. Can Porte defend his lead, and become the only the second Australian to win the Dauphine? Join The Roar’s live coverage of the final stage of the Criterium du Dauphine from 9:30 pm AEST.